Semi-truck drivers make their livings from driving thousands of miles, sometimes crossing state or even foreign borders. The transportation sector employs millions of people and comprises approximately 8.9 percent of the nation’s economic activity. In addition to delivering goods that we all need to survive from one corner of the country to another, truck drivers also transport the materials businesses need to keep the economy thriving. That said, though semi-truck drivers undoubtedly do important work, they work long and odd hours. After so many hours on the road, the risk for error and accidents increases. If you or a loved one was recently involved in a trucking accident in Miami, you understand just how physically and financially devastating a truck accident can be. If you are fortunate enough to be reading this as a precautionary measure, you may wish to understand how semi-accidents occur and what you can do to protect yourself and others on the road. Read on to find out more about truck accident causes, who may be at fault, and what you can do to recover compensation if you were, in fact, involved in a tractor trailer accident. Failure to run adequate background checks during hiring process. Note that the truck driver is not always held liable in trucking accidents. The law could place liability on several different parties, including the driver of the passenger vehicle, the truck manufacturer, or the trucking company. Who is Liable in Trucking Accidents? Government entities, if the accident was the result of road hazards. These cases can quickly become complex, as many different parties may be involved. It can be difficult to prove who or what should be held liable for the accident. For example, there may have been a road hazard, but the truck driver should have been aware of the hazard at the time of the accident. If you plan to file a claim following a semi-truck accident, be sure to contact and consult an experienced Miami truck accident attorney. 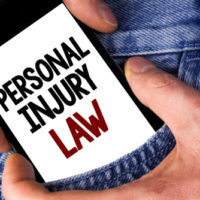 The party found to be liable for the accident will be responsible for paying any and all damages. Damages may include medical expenses, property damage, lost wages, pain and suffering, loss of consortium, and more. If you or someone you know was involved in a trucking accident, you may be wondering if you can file a personal injury claim. These cases can be complicated, so you should seek the assistance of an experienced Miami truck accident lawyer. An experienced attorney can help you recover the damages you deserve. The lawyers at Spencer Morgan Law have what it takes to regain your lost wages, medical expenses, and more. Contact as today to get your free consultation.